UNISON is one of the UK’s largest trade unions, serving more than 1.3 million members. They represent full-time and part-time staff who provide public services, although they may be employed in both the public and private sectors. Maxweb have worked with many branches of UNISON throughout the UK. Our main aim when working with UNISON branches has been to review and improve their whole digital strategy. Improving the digital strategy of branches has allowed the teams to become much more efficient both in their work and in their time, creating positive results. Digital solutions we have introduced include Websites, Case Management Systems & Mobile Apps. 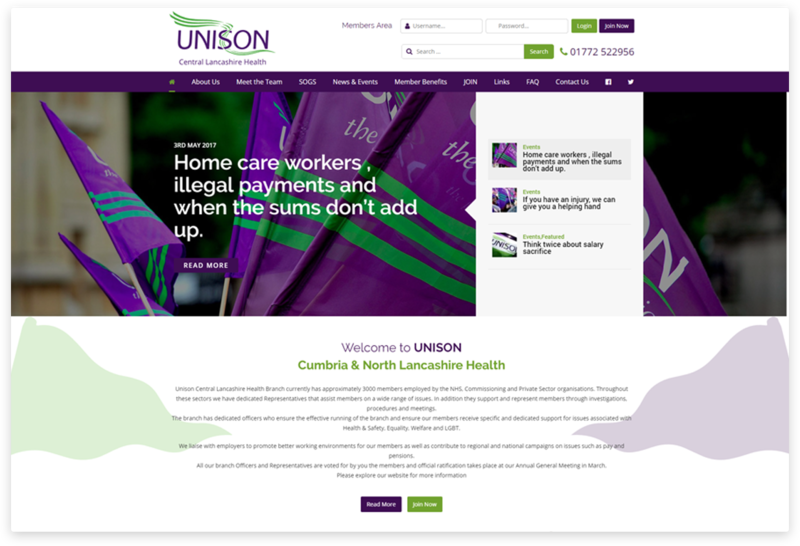 All of our websites are designed with the UNISON brand in mind and are all fully responsive – meaning that they work well on all devices including desktops, tablets and mobiles. Case Management System – Maxweb have collaborated with many branches of UNISON and created a Case Management system that is tailored to UNISON. We now have over 12 branches actively using the case management in their day-to-day activities. Our system is cloud based and very efficient. It is also fully GDPR compliant ensuring we take care of members data. Mobile App – the mobile app can help you get branch news and events out instantly to your members and also make contact between members and stewards more efficient. It also allows you to send push notifications direct to your members devices, so as you release news they are updated straight away. No more waiting for newsletters to be printed off and distributed. 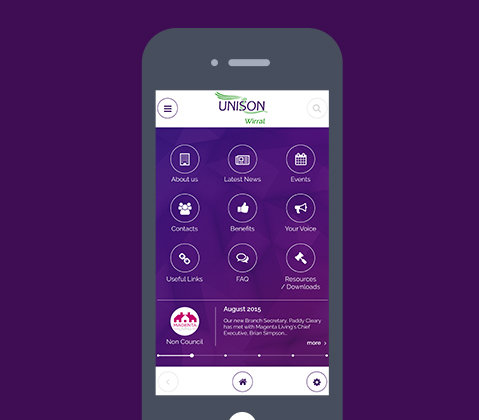 You can see all the benefits of the app on www.theunisonapp.com. If you are part of a UNISON branch or any other Union / Company and would like to explore if you would benefit from a case management system or mobile app to help with your organisation and communications then please feel free to Contact Us. Maxweb aim to be your digital partner and can advise or recommend ideas along the way.